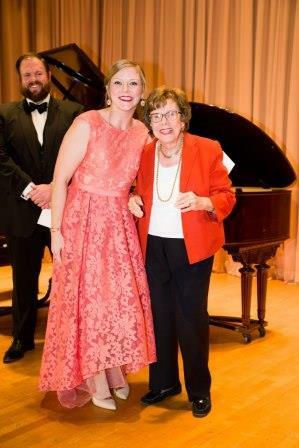 Pittsburgh Opera Resident Artist Shannon Jennings and alumna Corrie Stallings were both named prize winners at the prestigious Mildred Miller International Voice Competition on October 22nd. Pittsburgh audiences won’t have to wait long to see Ms. Stallings perform again, as she is singing the role of Cherubino in Mozart’s comedy The Marriage of Figaro at the Benedum November 4-12. 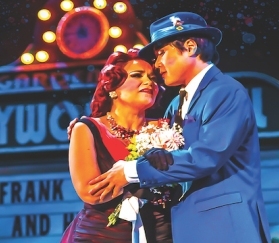 “Congratulations to both Shannon and Corrie,” said Pittsburgh Opera General Director Christopher Hahn. “Being a young professional opera singer requires enormous talent and hard work, and it’s gratifying to see that pay off both in competitions and on our stage”. 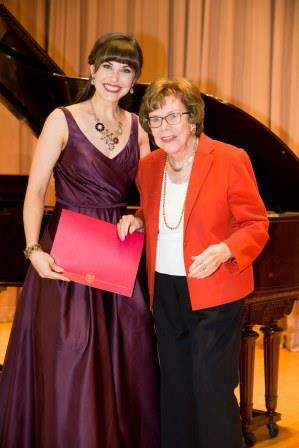 The Mildred Miller International Voice Competition attracts young professional singers aged 18–35, and is designed to help them develop their performing experience and build their repertoire. It was named after Mildred Miller Posvar, a principal artist at the Metropolitan Opera from 1951 through 1974 who had a major career performing in operas, concerts, and recitals during the mid-twentieth century and is a member of Pittsburgh Opera’s Board of Directors. Shannon Jennings with Mildred Miller Posvar. Photo courtesy of Mark Abramowitz /Pittsburgh Festival Opera. Corrie Stallings with Mildred Miller Posvar. Photo courtesy of Mark Abramowitz /Pittsburgh Festival Opera.